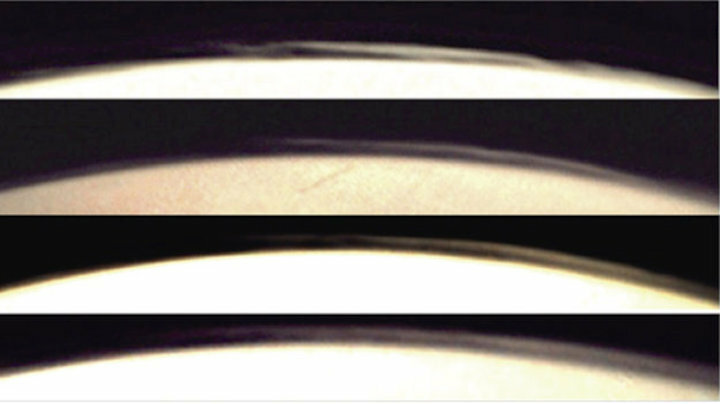 An unprecedented catalogue of more than 21 000 images taken by a webcam on ESA’s Mars Express is proving its worth as a science instrument, providing a global survey of unusual high-altitude cloud features on the Red Planet. The low-resolution camera was originally installed on Mars Express for visual confirmation that the Beagle-2 lander had separated in 2003. In 2007 it was switched back on and used primarily for outreach, education and citizen science, with images automatically posted to a dedicated Flickr page, sometimes within just 75 minutes of being taken at Mars. Last year, with new software, the camera was adopted as a supporting science instrument. Now, the first paper has been published, on detached, high-altitude cloud features and dust storms over the edge, or ‘limb’, of the planet. While these limb clouds can be imaged by other instruments or spacecraft, it is not necessarily their main task – they are usually looking directly at the surface with a narrow field of view that covers a small portion of the planet for specialised study. By contrast, the webcam often has a global view of the full limb. “For this reason, limb observations in general are not so numerous, and this is why our images are so valuable in contributing to our understanding of atmospheric phenomena,” says Agustin Sánchez-Lavega, lead author of the study from the University del Pais Vasco in Bilbao, Spain. The catalogue of some 21 000 images taken between 2007 and 2016 were examined and 300 identified for the study. Multiple images separated by a few minutes each were obtained for 18 events as they rotated into view, providing visual documentation of the features from different perspectives. In general, the cloud features imaged by the camera have peak altitudes in the range of 50–80 km above the planet and extend horizontally from about 400 km up to 1500 km. In order to understand the nature of the clouds – for example, if they were primarily composed of dust or icy particles – the team compared the images with atmospheric property predictions detailed by the Mars Climate Database. The database uses temperature and pressure information to indicate if either water or carbon dioxide clouds could be capable of forming at that time and altitude. The team also looked at the weather report generated from images by NASA’s Mars Reconnaissance Orbiter, and in some cases had additional corresponding observations obtained from other sensors on ESA’s Mars Express.